Kelly Gendron: Lucky Numbers ~ TroubleMaker #3 Cover Reveal! 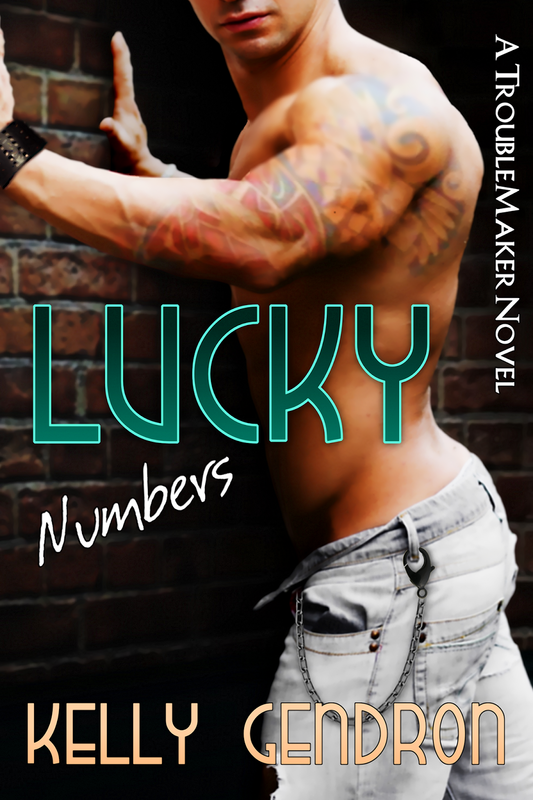 Lucky Numbers ~ TroubleMaker #3 Cover Reveal! He scrubbed a hand over his chin. “I didn’t take your friend for such a passionate person. I like it,” he said, eyes fixed on the vibrant canvas. “Don’t let the high heels, fake red fingernails or what I like to call daggers, and the fancy clothes fool you. She’s a pretty awesome person,” she laughed. He stared straight ahead and continued to deny her his attention. Either the painting enthralled him or she’d been right all along. He was the type of guy who got off by making a girl work for it—for him. Kaley might have been that girl a few years ago but no more would she beg for any guy’s attention. She drummed to a different beat now, one that was a bit louder and a whole lot bolder.